Already boasting 25 million users in the US since it launched back in 2007, the Netflix UK launch is here, just days after the Netflix app appeared on the PlayStation 3, with hopes of having you watching your favourite flicks and TV shows more than you have ever did before. Netflix: How does it work? Once you've signed up to a monthly subscription, Netflix members will be able to watch films and TV shows unlimited throughout the month over a broadband connection. There is no downloading of content involved, everything is streamed, and you'll be able to pause and watch content similar to the way you can with Sky+ set-ups. Netflix UK price: How much will it cost? Pricing in the UK works out at £5.99 a month and 6.99 Euros in Ireland. Compared to US pricing, a monthly subscription to Netflix is $7.99 which converted into UK pounds is around £5.00. Unlimited streaming packages for LOVEFiLM starts from £9.99 so with Netflix entering the UK market with a similar price point, it is a much cheaper alternative to similar services. Netflix UK: What devices can I use it on? PC and Mac support aside, the list of supported hardware continues to grow and already includes the PlayStation 3, Xbox 360, Nintendo Wii, iPad 2, Smart TVs, LG Blu-ray players and Android and iOS smartphones. If you want to watch content on your TV from the comfort of your sofa, you can hook up a laptop or games console via HMDI for playback. 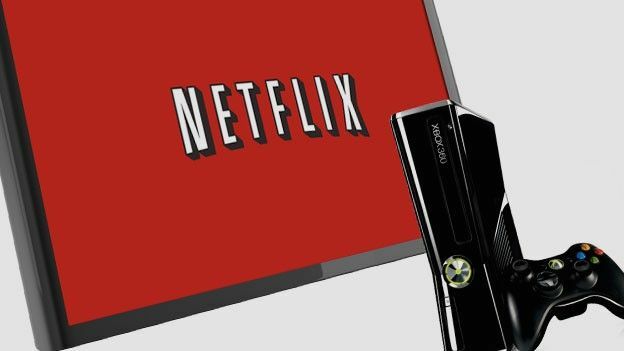 PS3 and Xbox 360 owners will already be aware that Microsoft and Sony currently offers streaming services like LOVEFiLM, BBC iPlayer and 4OD via their flagship consoles. If you've got a Facebook account, you can connect this up with your Netflix account so you'll be able to share what you are watching and help discover the films and shows you really should not be missing out on. Netflix will also support high definition content with many films and TV shows also available in Dolby® Digital Plus 5.1 sound. Netflix UK: What will I be able to watch? MGM, Paramount and Lionsgate Miramax, Momentum Pictures, NBCUniversal, Sony Pictures Entertainment and Paramount are amongst the studios on the Netflix books, with content from the likes of the BBC, 4oD and Disney UK & Ireland added for UK audiences. This should mean a broader more mainstream variety of content available on similar services already in the UK. Netflix may also look to continue producing original content as it has begun doing in the US. Netflix is available in the UK from today, and is offering a free month's subscription which you can sign up for at www.netflix.com, where you will also be able to find out about Netflix supported devices and all the content you can watch.